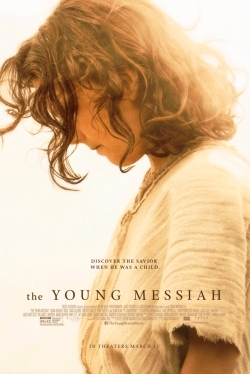 The Young Messiah (2016), an adaptation of the Anne Rice novel Christ The Lord: Out Of Egypt (2005) by director Cyrus Nowrasteh tells the story of a seven-year-old Jesus (Adam Greaves-Neal) returning to the Holy Land following a time of exile in Egypt. Jesus, the Virgin Mary (Sara Lazzaro), Joseph (Vincent Walsh) and their extended family return after Joseph announces he's had a dream that Herod the Great is dead and it's safe for them to return. Since Scripture is mostly silent on how this unfolds The Young Messiah enters into the same sort of territory as the Darren Aronofsky film Noah(2014) in which the Biblical character Noah must, for the sake of the film, be given dialogue even though Scripture records no words from him until after the flood. Likewise, Jesus and His family must be given dialogue despite Scripture’s silence. For both Christian and non-Christian viewers this is a very important detail to remember. Unless the film quotes some part of Scripture, everything spoken by the characters on the screen is fictional. Indeed, many characters will also be fictional or at least fictionalized. To create a story based on minimal Scriptural details is undoubtedly daunting. What extra-Biblical avenue can an writer take to "flesh" out the story of Jesus' incarnation at such a young age? Will it be pop-psychology or liberal Biblical scholarship with its higher-critical-methodology? Will it be solid historical research into first century life with an emphasis on Biblical archaeology? What will a seven-year-old Jesus sound like? How will Jesus act? Will Jesus just be a smaller version of the Jesus known from the later period of His public ministry following His Baptism as detailed in the Gospels? Will the film be faithful to the Anne Rice novel Christ The Lord: Out Of Egypt? Of more importance: will The Young Messiah be faithful to Holy Scripture? Even if it employs a certain amount of artistic licence to tell its story, will the story it tells be true? These are good questions to ask when viewing films like this. As with the Alejandro González Iñárritu's adaptation of The Revenant which changed major elements of the Michael Punke novel of the same name, Cyrus Nowrasteh makes significant changes to Rice’s book. Whereas Rice employs a first-person narrative from the point of view of Jesus; this is gone in the film. In Rice's book Mary and Joseph have kept from Jesus events like the Annunciation, the Nativity, the visits of the Magi from the east, Herod the Great’s treachery, and the circumstances of the family’s exodus to Egypt. The drama hinges on Jesus putting together the details of this mystery. Readers then go along hearing Jesus' internal thoughts, seeing everything through those young eyes, asking “will Jesus figure it all out or will someone fill in the details? Will the mystery be revealed?” This premise is built on two things: first and foremost Philippians 2:7 where St. Paul explains that Jesus emptied Himself, "and made Himself nothing, taking on the form of a servant, being born in the likeness of men." The idea being that Jesus was emptied of all knowledge of being the Son of God. Growing from that is the second thing: the speculation that Jesus' parents were silent on the matter not knowing how to approach the topic. Abandoning a purely first-person narrative style, Nowrasteh maintains the “mystery” element of Rice's book while adding a competing plot where-in the son of Herod the Great (Jonathan Bailey), now ruling in Jerusalem, sends a Roman Centurion to track down and kill the rumoured seven-year-old child Jesus. So where the recent film Risen(2016) focused on a fictional Roman Tribune Clavius' (Joseph Fiennes) search for the "missing" body of Jesus following the crucifixion, in The Young Messiah viewers have another fictional Roman soldier, Severus (Sean Bean), tracking down Jesus. As far as Scripture is concerned the Romans were not preoccupied with tracking down Jesus every moment of His life. Again, there is no indication such events ever took place. This is fiction. Eventually, after settling back in Nazareth, they go up to Jerusalem for Passover in the midst of political upheaval during a regime change. Evading entanglements with Rome and with anyone who might have memory of the events surrounding their flight to Egypt, they press on all the while running interference concerning Jesus' questions about the past. It sounds compelling, however there are some significant concerns that must be addressed. Both The Young Messiah and Rice's book take incidents described in the equally fictional 2nd century Gnostic text, The Infancy Gospel of Thomas, placing them into the story of Jesus' life in Egypt prior to the family’s departure for Nazareth. Drawing from, but not directly depicting these fictional accounts, Rice and Nowrasteh mix in Gnostic stories of a boy who dies during an incident with Jesus and whose death Jesus is accused of causing. In the film this comes to a conclusion when the seven-year-old Jesus raises the boy back to life just as had happened with a dead bird by the seashore. The Infancy Gospel of Thomas has Jesus making twelve birds out of clay and miraculously bringing them to life with the clap of his hands and the words, "Be gone." Making allusions to a heretical text is extraordinarily problematic, especially considering how the Bible’s Gospel of John says turning water into wine at the wedding at Cana in Galilee was the first of Jesus' signs in which He manifested His glory (John 2:11). With this in mind the instances in The Young Messiah of Jesus raising people and animals from the dead, healing illnesses, or giving the blind their sight become speculative at best and at worst a contradiction of Scripture. There even seems a desire to infuse the seven-year-old Jesus' life with incidents that occur in His public ministry. Did Jesus heal the blind? Yes. Did He heal the blind when He was seven? Scripture says nothing to that effect. This comes up over and over again. As a result, the film makes Jesus into a boy who is trying to master the unlimited powers of Divine omnipotence while repeatedly running up against a sort of brick wall when it comes to the unlimited knowledge of Divine omniscience. This is where the general premise of both the book and film—that Jesus doesn't know who He is—presents a problem. Jesus' "oneness with the Father and the Holy Ghost was not interrupted by His incarnation," therefore His omniscience need not have been hindered in a negative or troubling way following the incarnation. In the Gospel of Luke, at the age of twelve, Jesus knows who He is when He says to His parents in the Temple, "Why were you looking for me? Did you not know that I must be in My Father's house?" By asking the question, “What did Jesus know and when did He know it?” the film, at best, seems to contemplate what Luke records that as He grew "Jesus increased in wisdom and in stature and in favour with God and man" (Luke 2:52). At its worst the film represents the young boy Jesus in a non-scriptural manner. Since this fictional plot has Jesus searching for answers to burning questions, the very premise of The Young Messiah sets up a collision course with Scriptural doctrine. In the film's third act Jesus and the rest of the family are shown travelling to Jerusalem for the Passover. Becoming aware of the Roman threat and fearing for the safety of the family as they travelled Joseph decides to turn back to Nazareth. The next morning Jesus is missing and the older James (Finn Ireland), Joseph's son from his deceased first wife, informs the family that Jesus had overheard their plan to turn around and, because of their silence, had set out to go to the Temple alone to find answers. This shows Jesus to be impatient not waiting for Mary and Joseph, within the context of the film, to tell what had happened in due time and it also shows Jesus as disobedient. What seven-year-old child, especially in ancient Israel, would set out alone to walk to Jerusalem without their parents' permission, especially knowing that the family was turning around to go home? Having a young Jesus breaking the Fourth Commandment (Honour your father and your mother) is a giant problem as Scripture confesses Jesus to be "one who in every respect has been tempted as we are, yet without sin" (Hebrews 4:15). By the end of the film Jesus has the answers to the questions, the mystery is solved ... sort of. Jesus isn't an "angel-boy" like the devil said, Jesus is the Son of God. Viewers may still be asking why God the Father sent this only begotten Son in the flesh in the first place. At the very end of the film the young Jesus imparts some wisdom about this miraculous birth of the Christ: Jesus had to come into the world in this way in order that life would be experienced in the same way that everyone one else experiences it: good things and bad, joyful things and pain. To its credit the book does one better. Rice includes Jesus’ realization/revelation that everything is born into the world to die, and for the young Jesus it would be no different. This starts to move toward a picture of the true purpose of the incarnation and the atonement. Nowrasteh, however, sidesteps this in The Young Messiah avoiding any knowledge on the part of Jesus that death in general and ultimately death by crucifixion is coming and that such a death would be for the salvation of fallen humanity. This then becomes yet another example of the idea that experiences and feelings are the important thing in life trumping everything else. Is the film well made? It has slightly higher production values than Kevin Reynolds' Risen. Generally, the acting is a bit better too, especially Lazzaro as the Virgin Mary. However, as seems to be the case in these films, actors from the UK crop up everywhere, including the young Jesus who is Caucasian with a British accent. Also, in a rather heavy-handed way, the character of the devil (Rory Keenan) is greatly expanded in this film compared to Rice's book in which she had shown surprising restraint for a woman who has written extensively in the genre of vampire fiction! This may be an effort on Nowrasteh's part to emulate Mel Gibson's film The Passion of the Christ (2004) which had a prominent lurking devil. The devil in The Young Messiah is one of its least successful elements. Television mini-series likeA.D. The Bible Continues (2015), and recent films like Son of God (2014), Noah(2014), Exodus: Gods and Kings (2014), and this year's Risen(2016) are often hard to recommend. While they may have their moments of faithfulness, they are often riddled with poor theological musings, Biblical contradictions, omissions, and confusions. People are free to watch films like The Young Messiah but should do so with some caution. While in the film Jesus is a child, this is not a film for children. Also, there really isn't anything adults will learn from it either. Whatever is good about it is scuttled by having a boy Jesus who, at the most critical moment, is shown to be disobedient. 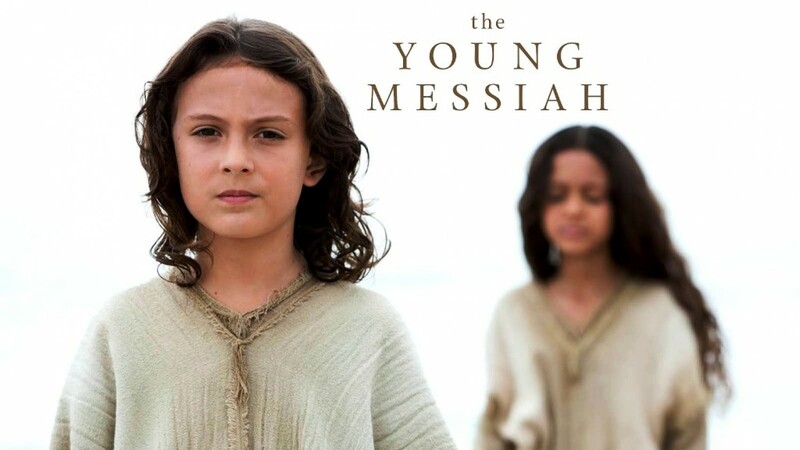 Viewers looking for a true picture of the young Messiah Jesus will best be served by searching Him out in Holy Scripture (Matthew 1-2, Luke 1-2) and avoiding this messy fictionalized concoction. Rev. Ted Giese is associate pastor of Mount Olive Lutheran Church, Regina, Saskatchewan, Canada; a contributor to The Canadian Lutheran and Reporter; and movie reviewer for the “Issues, Etc.” radio program. Follow Pastor Giese on Twitter @RevTedGiese. Check out our Movie Review Index! The Other Bible, Willis Barnstone, HaperSanFrancisco 1984, Pg. 399. Christian Dogmatics volume II, F. Pieper, Concordia Publishing House 1951, pg. 163.